As part of an official visit by HSH the Sovereign Prince Albert II, the Monaco Economic Board (MEB) organised a Trade Mission to New Delhi from 2-6 February 2019. It was an excellent opportunity for Monegasque entrepreneurs and the MEB to consolidate ties and learn more about doing business in India. With a population topping 1.3 billion and a booming economy, India is a nation that cannot be ignored by any company wanting to expand. After successful trips to Russia then China, the MEB continues to position itself with countries that may seem dauntingly large but which ultimately offer numerous prospects for businesses. Thirty-plus entrepreneurs representing a range of sectors, together with public and public-private entities (Tourism & Convention Authority, Yacht Club de Monaco) joined the MEB delegation for the trip. A highlight of the two-day programme was a business forum on 2 February. Attended by HSH Prince Albert II, it was organised under the aegis of Monaco’s Ambassador to India, H.E. Mr Patrick Médecin, by the MEB and its partners, the Indian Federation of Chambers of Commerce and Industry (IFCCI) and the France-India CCI. Manoj K Bharti, Joint Secretary in India’s Ministry of Foreign Affairs, Gilles Tonelli, Monaco’s Minister for Foreign Affairs and Cooperation, and Suresh Prabhu, India’s Minister of Commerce, Industry and Civil Aviation, spoke about their respective countries, highlighting the opportunities and common ground between them. 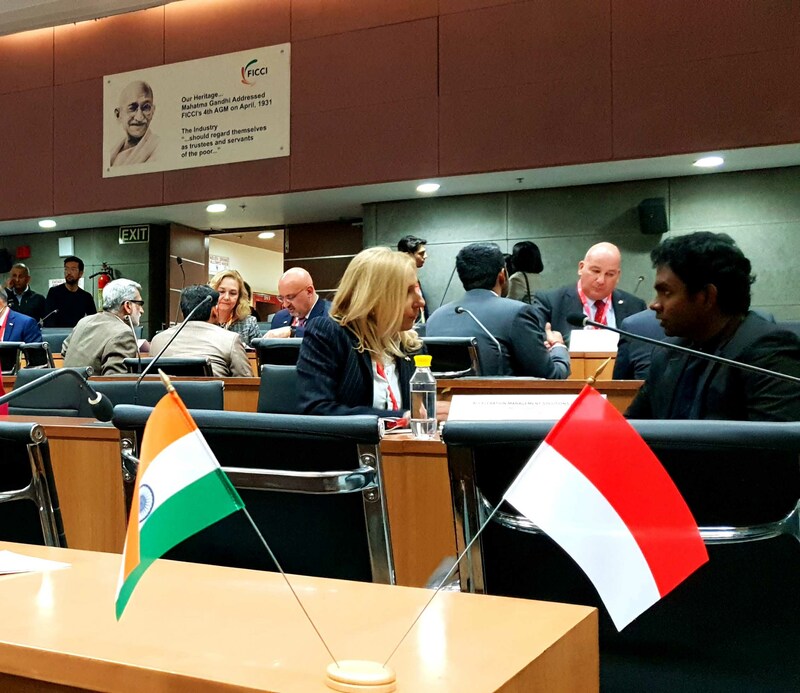 MEB Chairman Michel Dotta followed, emphasising that the Forum was not “the beginning of a simple relationship, but rather the launch of a permanent cooperation between Monaco and India.” A cooperation validated by the signing of a partnership agreement between MEB and its Indian counterpart, IFCCI. It was also an ideal opportunity for Monaco companies planning to initiate partnerships. SBM OffShore for example signed a Memorandum of Understanding with Bangalor-based Nauvata Engineering, with a view to establishing a joint-venture in India to expand their engineering capabilities. Other members of the delegation benefited from an intense fast-track BtoB session arranged by MEB and its partners. Many contacts were made and prospects discussed with local companies interested in developing their activities further afield. On Tuesday 5 February, more targeted pre-arranged visits took place. MonacoTech, the company behind a start-up incubator and accelerator programme, visited Green House Ventures to exchange experiences and find out more about the start-up system in India. France-India CCI also organised a seminar on Indian culture and the business environment, valuable advice for Monegasques entrepreneurs. Feedback was very positive for a Monaco team that once again proved its effectiveness, enhanced by the presence of the Sovereign. Michel Dotta has already extended an invitation to IFCCI to come to the Principality to build on the links forged during this trip, an invitation that was enthusiastically received. 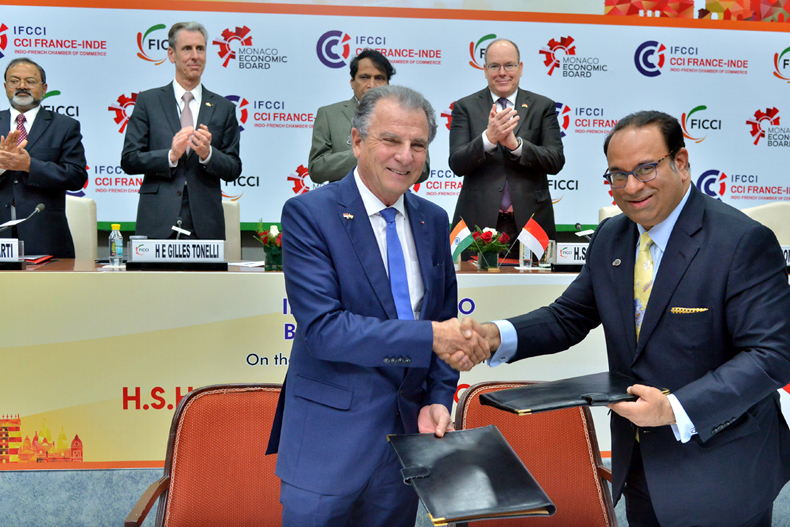 Photo 1 (G. Lucci/Palais Princier): HSH Prince Albert II and Suresh Prabhu, India’s Minister of Commerce, Industry and Civil Aviation, watch signing of a partnership agreement by MEB Chairman Michel Dotta and Sandip Somany, President of the Indian Federation of Chambers and Commerce and Industry.